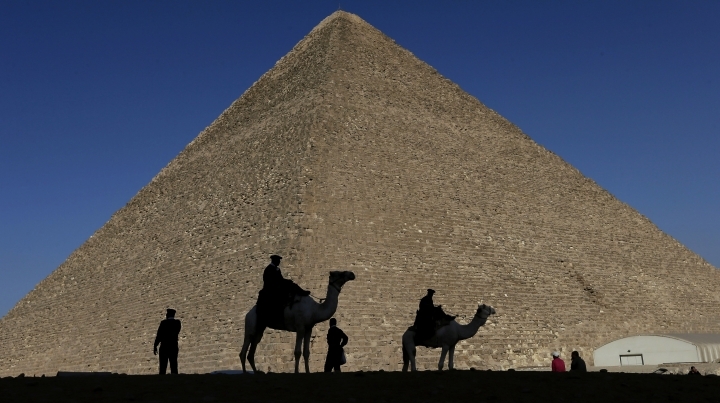 CAIRO — Scientists say they have found a hidden chamber in Egypt's Great Pyramid of Giza, in what would be the first such discovery in the structure since the 19th century and one likely to spark a new surge of interest in the pharaohs. In an article published in the journal Nature on Thursday, an international team said the 30-meter (yard) void deep within the pyramid is situated above the structure's Grand Gallery, and has a similar cross-section. The purpose of the space is unclear, and it's not yet known whether it was built with a function in mind or if it's merely a gap in the pyramid's architecture. Some experts say such empty spaces have been known for years. "The pyramid's burial chamber and sarcophagus have already been discovered, so this new area was more likely kept empty above the Grand Gallery to reduce the weight of stone pressing down on its ceiling," he said, adding that similar designs have been found in other pyramids. 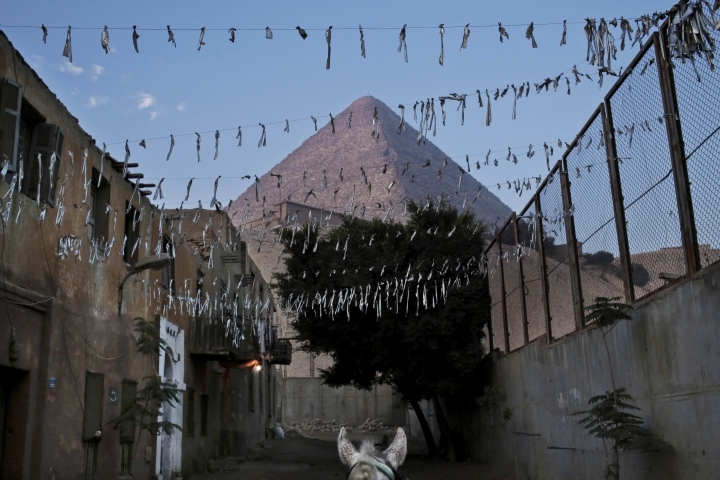 Egypt's former antiquities minister and famed archaeologist Zahi Hawass, who has been testing scanning methods and heads the government's oversight panel for the new techniques, said that the area in question has been known of for years and thus does not constitute a discovery. He has long downplayed the usefulness of scans of ancient sites. "The Great Pyramid is full of voids. We have to be careful how results are presented to the public," he said, adding that one problem facing the international team is that it did not have an Egyptologist as a member. He said the chamber was likely empty space builders used to construct the rooms below. "In order to construct the Grand Gallery, you had to have a hollow, or a big void in order to access it — you cannot build it without such a space," he said. "Large voids exist between the stones and may have been left as construction gaps." Speculation that King Tutankhamun's tomb contains additional antechambers stoked interest in recent years, before scans by ground-penetrating radar and other tools came up empty, raising doubts about the claim. While the technology can detect large open spaces, it cannot discern what is inside, so it's unclear if the empty space contains any objects. Tayoubi said the team plans now to work with others to come up with hypotheses about the area.